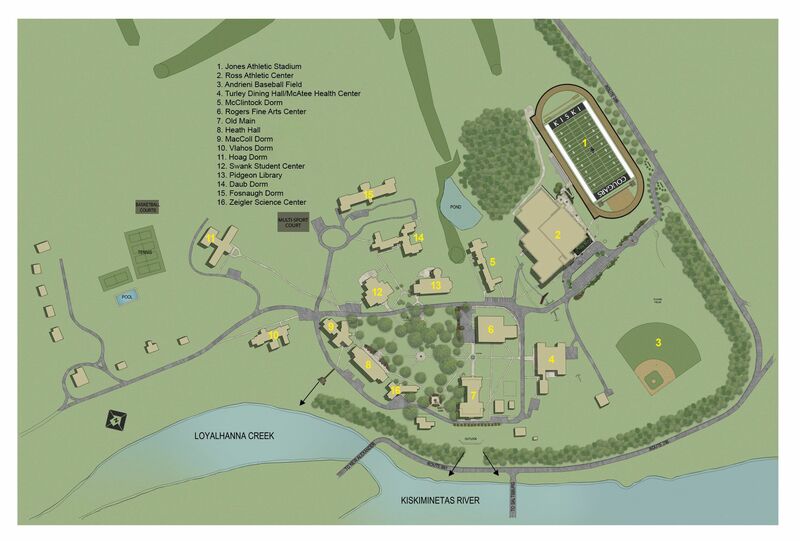 Since the summer of 2003, we have been thoughtfully implementing an aggressive and focused capital raising campaign in coordination with a strategically designed master plan dedicated to comprehensive campus improvement for Kiski. I am happy to report that this important process continues to move forward in many positive ways and it has literally transformed the campus and the School. Our multi-phased capital campaign for Kiski has included new construction, the repurposing and remodeling of existing buildings as well as extensive renovations made to our older facilities on the campus. I am honored and excited to report to you today that our current capital campaign has brought in $33.8 million for Kiski, our endowment, our programs, and our campus renovation projects. This generous and important financial support was invested in the School and our Capital Campaign by alumni, students, parents, grandparents, trustees, faculty, friends, and foundations. It is also important to note that since we very quietly started raising capital campaign related funding for Kiski back in June of 2003 we have successfully raised over $46 million to support the School, our students, and our projects. In addition to the ongoing acquisition of fresh funding for our campus and building improvement projects, our capital raising initiatives have also focused on raising new money for innovative program enhancements for our academic and athletic programs, technological upgrades throughout the campus, financial aid and scholarships, and the continued growth of the School’s endowment. Most of the major foundations in the Pittsburgh region have supported Kiski’s educational mission and our capital campaign with major grants. Their grants, together with tremendous support from our Board of Trustees, Board of Visitors, alumni, parents, grandparents, local businesses, and friends of the School have allowed us to build a thriving capital campaign for Kiski and have made many good things possible for the School and our students. Please know that everyone at Kiski remains truly thankful for the generous support that has been dedicated to the School and our important educational mission! Looking back, the initial phases of our campus transformation plan primarily focused on the renovation and expansion of two major dormitories: McClintock and Daub Halls. After this step, we moved forward with substantial renovations for the Heath Hall classrooms and upgrades for the Stephen C. Rogers Fine Arts Center. These building improvement projects were quickly followed by the construction of the Swank Student Center in the center of campus. This new building was an exciting and positive “game changer” for Kiski as it has provided a positive addition to the quality and variety of campus life at the School. By the end of 2013, we completed a significant renovation and expansion of MacColl Hall. In sum, we turned it into an attractive, modern, and energy-efficient dormitory that incorporated a “living laboratory” for the study of energy efficiency. During this active time period, we also fully upgraded our outdoor athletic center by completely resurfacing the athletic fields used for football, soccer, lacrosse, and our track and field events. Many members of our Kiski family continue to believe that the crowning achievement of our capital campaign and our campus renewal program has been the construction of our indoor athletic facility. Our new 75,000 sq. ft. indoor athletic complex remains the focal point for all of our indoor competitive and intramural athletic activities as well as our daily fitness activities. Our current students have been the direct beneficiaries of the wonderful renovations and expansions that we recently made to Vlahos Hall and Hoag Hall. We also were able to make some much needed improvements to McDonald Pond. To assist us in making these many exciting and rewarding improvements a reality for the School and our educational mission, it’s important to note that our two recent capital campaigns have together allowed us to raise over $41 million for campus and building improvements, our educational and athletic programs, as well as our scholarship funds and the School’s endowment. It’s abundantly clear that the success of each phase of our institutional advancement plan for Kiski has positioned the School and our educational mission to blossom in many new and positive ways. It is, however, important for me to clarify that we are not finished yet! Now, looking forward, our capital campaign is strategically focused on raising new and necessary funding for the Zeigler Science and Engineering Center as well as renovations to our science classrooms in Heath Hall and upgrades in the Turley Dining Hall. In addition, other capital campaign projects in the works that we will be funding include: new faculty housing, technological upgrades, a new and comprehensive marketing and admission recruitment initiative, and newly endowed scholarship funds. Finally, I must note that concurrent with our intense focus on campus improvement projects and dedication to the successful long-term health and stewardship of the School, we have quietly but in earnest begun to urge our thoughtful and generous donors to begin to seriously consider a variety of creative and rewarding planned giving options through which we will continue to grow the value of our endowment for the School. In sum, a growing endowment is vitally important to maintain a balanced and thriving Kiski well into the future. Thank you once again for your continued and thoughtful support of Kiski and our capital raising initiatives for the School and our faculty and students! With your help and financial support, working together, I am confident that we will continue to drive the School and all of our programs toward greatness. I will, as always, look forward to visiting with you and to talking with you about the next stage of our exciting plans for Kiski. To see more about the Capital Campaign and other important happenings at Kiski, read and enjoy The Kiski Bulletin here. During capital campaigns, Kiski designates specific needs and goals carefully designed to ensure a successful future for the School and our students. These initiatives add to the endowment fund, provide funding necessary for new facilities and/or renovations, or make possible new program initiatives strategically identified as a specific need to meet ongoing goals of the School’s educational mission.